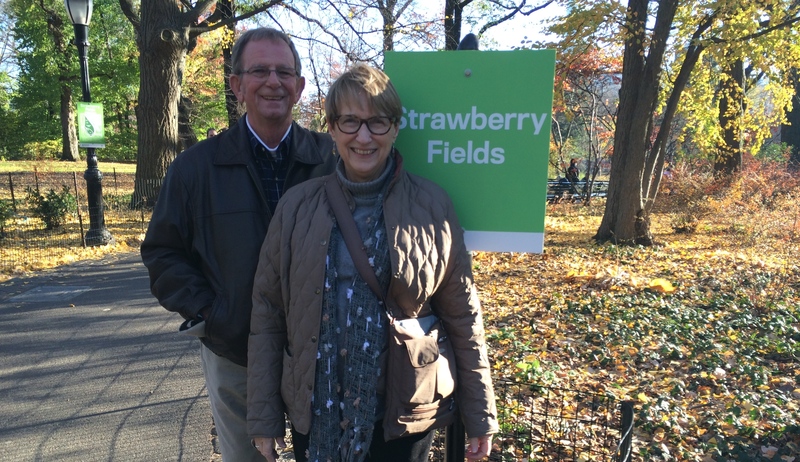 NYC Holiday 2015: Strawberry Fields Forever | Oh, the Places We See . . .
← Holiday stay in NYC? Try an apartment! 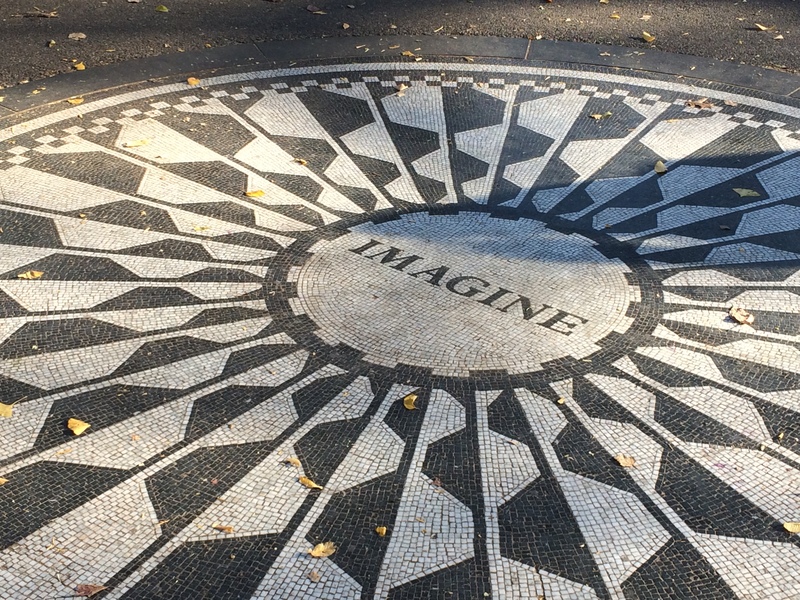 The focal point of Strawberry Fields memorial in Central Park. 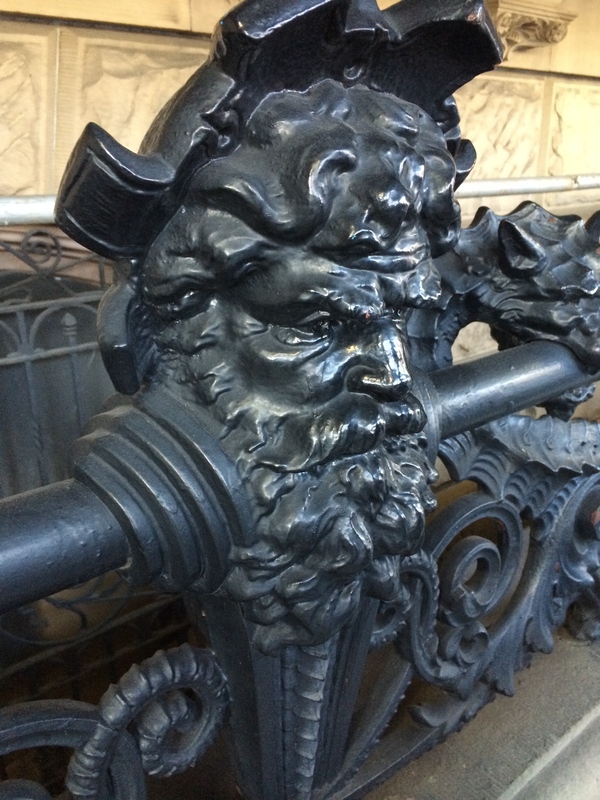 One good thing about renting an apartment on the Upper West Side? Proximity to Central Park. And this year — 2015 — unseasonably warm weather let folks enjoy a walk in the park even in the middle of December. 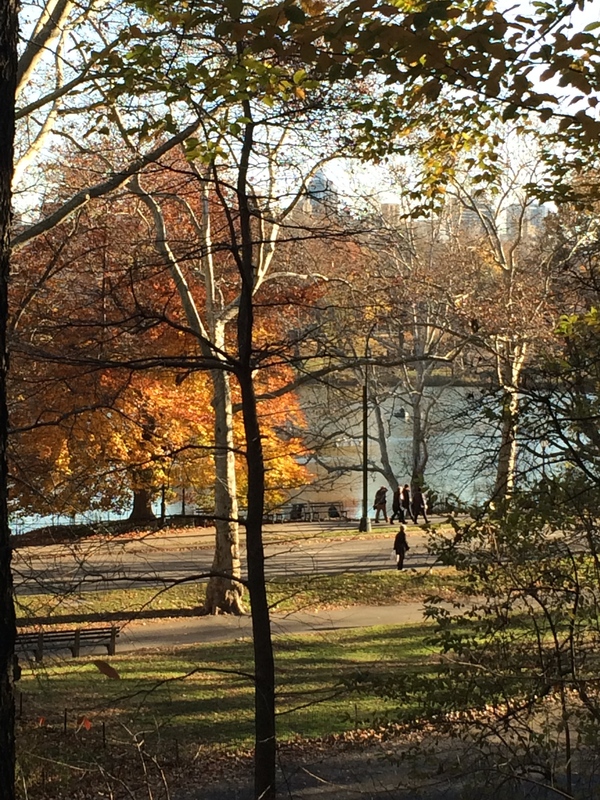 A walk in the park — Central Park, December 2015. We headed down Central Park West toward The Dakota, notable residence of John Lennon and Yoko Ono and site of Lennon’s murder in 1980. 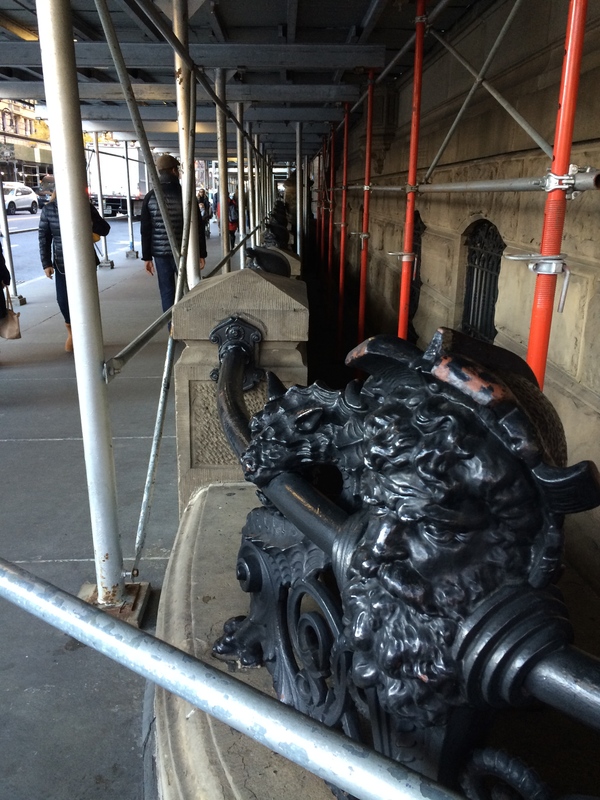 But, alas, it was sheathed in scaffolding and screening with nothing for us to see except the magnificent ironwork of the railing out front. So we crossed the street to visit Strawberry Fields Memorial. Dedicated on October 9, 1985 (what would have been Lennon’s 45th birthday) by Mayor Ed Koch, the memorial park is situated in a triangle located at West 72nd Street. 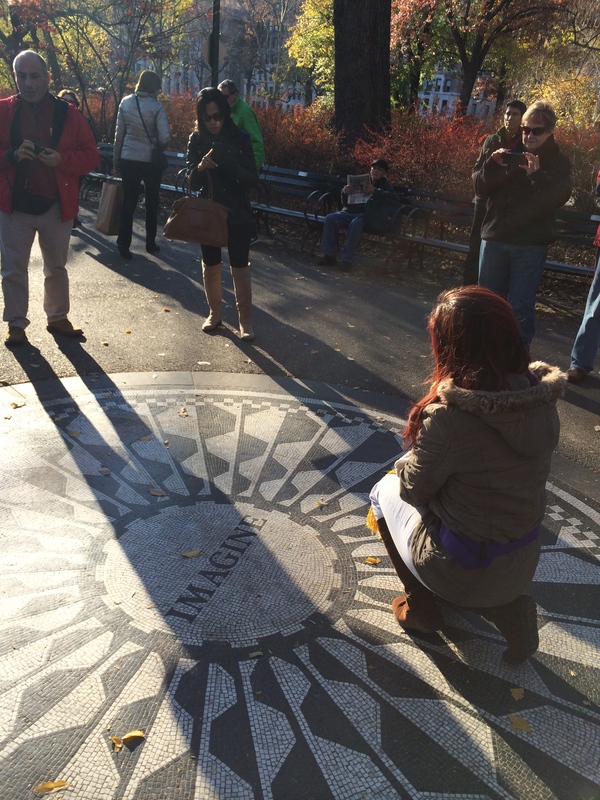 The focal point of the park is a circular mosaic with one word — IMAGINE — from Lennon’s song of the same title. According to Wikipedia, the mosaic was a gift of the city of Naples, Italy. We watched as groups and individuals patiently waited for a turn to have their picture taken on the mosaic. And although most of tourists we saw weren’t even born when the song was recorded in 1966, we found that everyone — old and young — enthusiastically posed for pictures or hummed along with a guitarist playing Beatles’ songs from a nearby bench. Now, if you can’t get that song out of your head after seeing these pictures, do the next best thing: click here for the lyrics and get on with it. 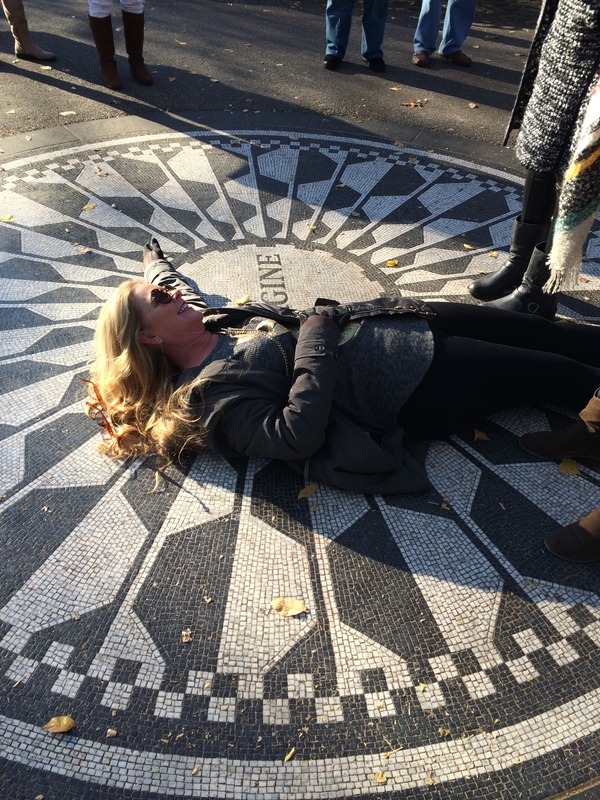 No one will know if you’re at your computer singing “Let me take you down/Cause I’m going to Strawberry Fields.” Better yet, go to NYC, take a carriage ride, and sing all the way through Central Park. You won’t be doing it alone! 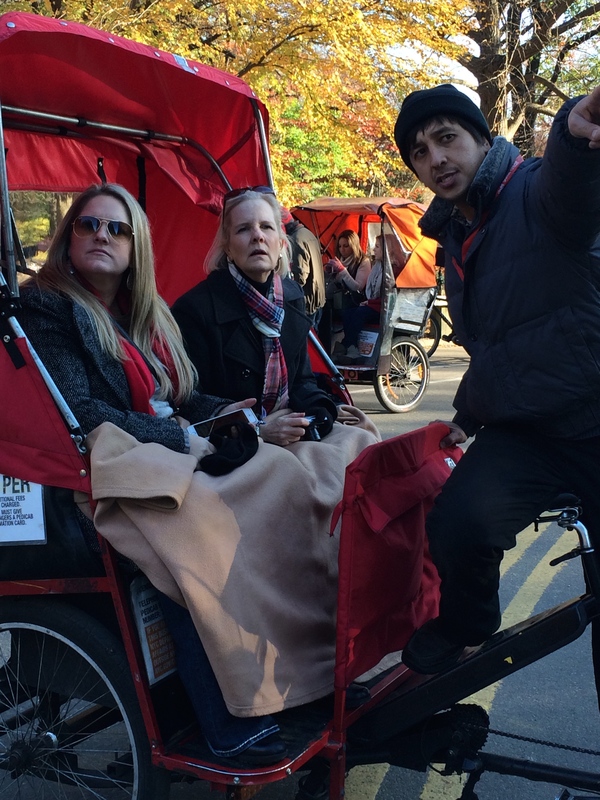 Ready for a carriage ride — and little humming! Hope you’ll join us for further adventures of our Christmas Holiday in NYC. It’s guaranteed to get you into the spirit of the season! Guilty: We sang Beatles songs in the 60s! This entry was posted in New York, Travel and tagged Central Park, Imagine, John Lennon, Strawberry Fields Memorial, The Dakota, Yoko Ono. Bookmark the permalink. Judy, I’m using an unexpected Snow Day to catch up on my blog. Thanks for posting this comment even though I never responded. It was an oversight, but one that I’m embarrassed to say even happened at all. 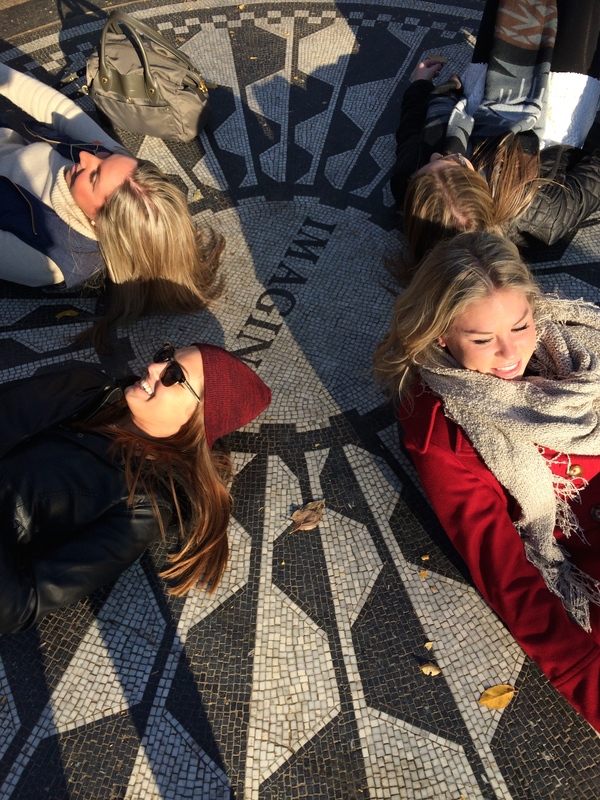 Glad you looked at Strawberry Fields with us — what an interesting place. People watching might also be fun if we had had more time! Best wishes for a tolerable winter where you are. I’m pretty sure, Jeanne, that we could go once a week to NYC and still not see it all. But what fun trying! Thanks for reading.